Sharon Berger, who celebrated her 65th birthday only a few weeks ago, has received devastating news when a routine blood test showed that, after three years, her leukemia has returned. Read more about Sharon Berger's patient story on Anthony Nolan's website. Sign up to become a stem cell donor and you could be a lifesaving match for someone with blood cancer. Wonderful news - a donor was finally found for Sharon Berger who has been waiting since December for a transplant. We wish Sharon all the best with the transplant ahead and hope she will recover from it as quickly as possible. 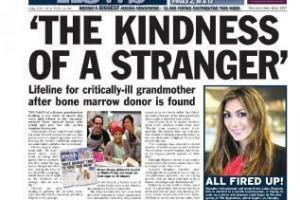 Her family and Anthony Nolan have done amazing work on getting more people from Jewish origin to register to donate stem cells. Thanks to all of the people who have participated in raising awareness about this - and especially to those who registered. 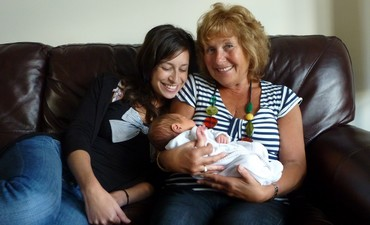 "Very pleased to have reached a major turning point in our #Spit4Mum campaign as a good stem cell match has been identified & Mum is scheduled to have the transplant in a couple of weeks, all being well. Still a long road but a massive thank you to everyone who has helped get us to here, couldn't have done it without you. We also thank Anthony Nolan and Delete Blood Cancer for their amazing tireless work and support. And we wish Sharon all the best with the transplant ahead now." 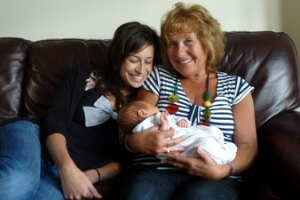 "The Bergers’ campaign had a huge impact on the number of people joining the bone marrow register. 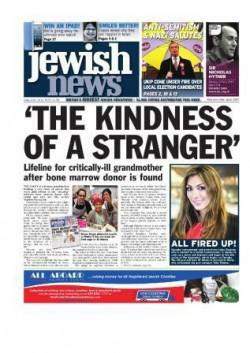 The campaign has so far attracted 1,191 Jewish people to join Anthony Nolan’s donor register, compared to 107 in the same period in 2012. Her son Jonni also connected with the Waitrose branch of Brent Cross to start one of their Community Matters donation scheme.